Sticky situation: Using glue boards to monitor pests | Home Wise! Family Smart! Pheromone traps use a natural chemical compounds from female moths to attract males to a sticky glueboard. Photo by Jody Green, Nebraska Extension in Lancaster County. Now that it is winter, some may think the critters that bugged us through the spring, summer and fall are gone due to the cold weather. Unfortunately for homeowners and apartment residents, many insects and other arthropods remain quite active indoors during this time, where they become unwelcomed house pests. There are simple, non-toxic and cost-effective tools that can be purchased to monitor the presence of pests in your home. If something is caught, it should be identified to determine whether it is of concern and whether control measures are required. It is important to understand that while these monitors may catch pests in your home, they may not be enough to control or eliminate them completely. Sticky traps, glue traps or glue boards are inexpensive, disposable, non-toxic cardboard or plastic trays with special glue on one side to capture pests. These can be purchased at local hardware and grocery stores and may be labeled for insects, spiders and/or rodents, but a variety of crawling pests are likely to get caught on these traps if pests are present. Some sticky traps are designed to attract and catch a specific type of insects, either crawling or flying. These traps may have special instructions for trap placement within the home and can be of a certain shape or color. An example of this are the yellow sticky traps placed close to the soil of indoor potted plants to catch sap-feeding insects such as fungus gnats and whiteflies. Other traps, like those used to catch pantry moths (i.e. Indian meal moth), contain a pheromone, which is a species-specific chemical compound that lures male moths to the trap while they search for a female. Both of these examples will catch flying pests in their adult stages, but it is important to locate the source of the infestation, where eggs and immature stages develop, and break the life cycle in order to provide long-term management. Cardboard sticky traps are useful as monitors because they are easy to use and much information can be gained from the trap catches. Placement of sticky traps will depend on the indoor environment and layout of the residence. It is best to place monitors where they are likely to catch pests such as under sinks, dark corners of the room, beneath storage shelves, along walls, next to windows and exterior doors. Do not place them where they will get wet and destroyed, stuck to people or pets or where it is too difficult to reach. Check traps each month and make note of what critters you are catching, when you are catching them and where they are numerous. For example, heavy catches of ground beetles on sticky traps next to doors indicate the need for weather stripping to close the threshold under the door. Some common insects and arthropods found on sticky traps include spiders, beetles, millipedes, centipedes, crickets, pill bugs, springtails, small flies, ants and cockroaches. Some of them — especially in low numbers — may not be considered pests and will not require control, and others may be a symptom of a larger problem like a plumbing issue or structural deficiency. Proper identification of the pest. Sanitation to reduce food, water and pest harborage. Exclusion techniques to block entryways that allow pests to get into buildings. Reduction of conducive conditions that allow pests to thrive indoors (i.e. dense vegetation, high humidity, condensation). Judicious use of chemical applications which are toxic to pests, yet low-risk for people, pets and children. The solution to each situation will vary and depend on the type of pest, size of the pest population, type of damage and needs of the individual family or client. Keep track of what works and what does not, and continue to monitor so you know when to practice your IPM skills. “Sticky situation: Using glue boards to monitor pests” is available on the Nebraska Extension in Lancaster County website. 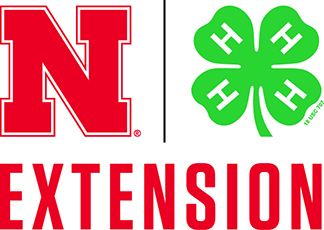 If you have other pest and wildlife questions, we have more resources on-line at http://lancaster.unl.edu/pest or contact your local extension office.